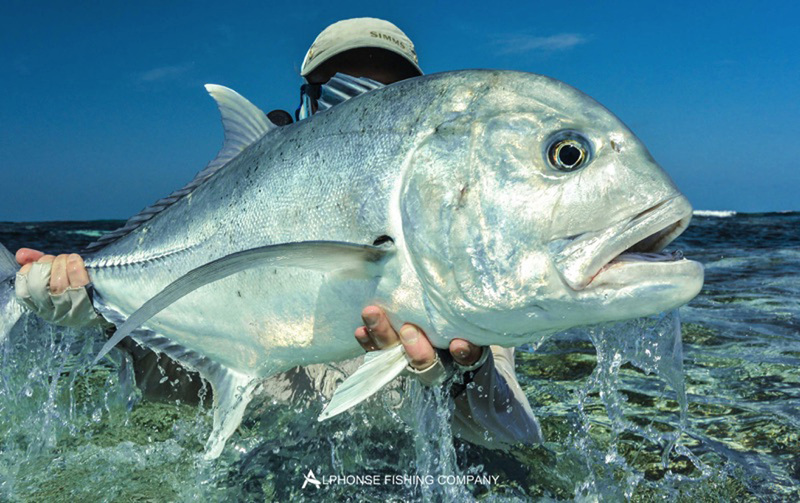 The Christmas and New Year period saw some great fishing, particularly permit and therefore everyone was excited to see what the first week of 2016 would have to offer. 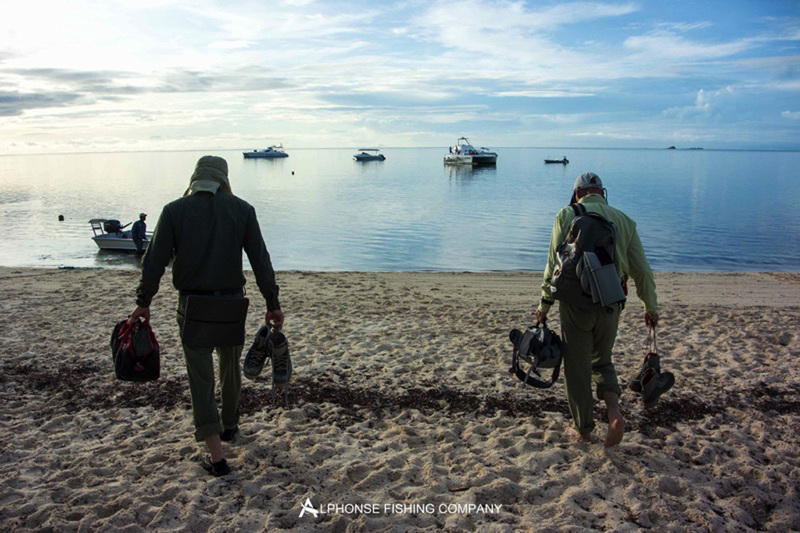 A number of fishermen were staying on for a second week and with a handful of new guests flying in there was a full complement of anglers as well as leisure guests enjoying our diving, snorkelling and other Alphonse Island based activities. 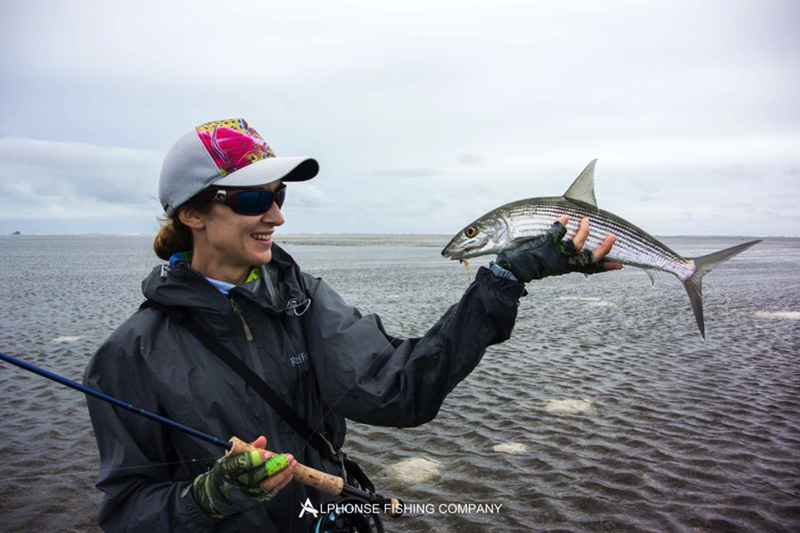 The weather looked good and with some great tides lined up everyone was excited to get out on the flats and kick their year off with some fantastic fishing. 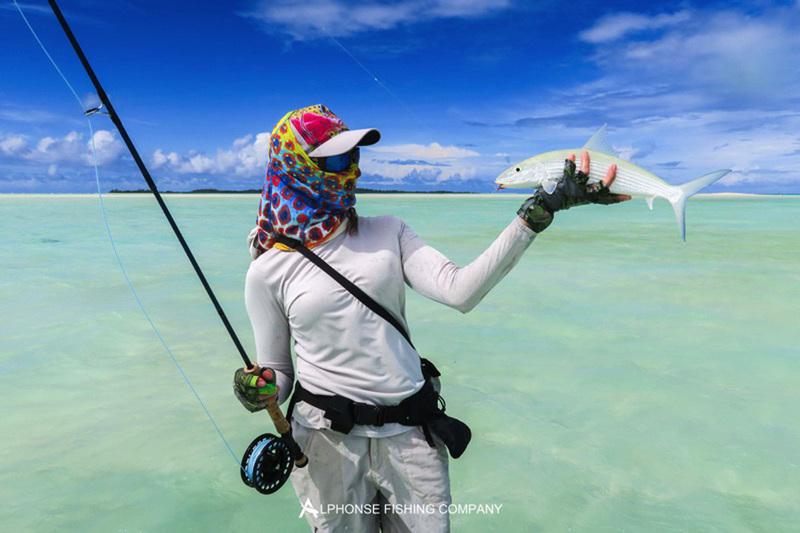 The tides were coming off a slow moving neap cycle as the week started, this means one thing and that’s happy triggerfish. 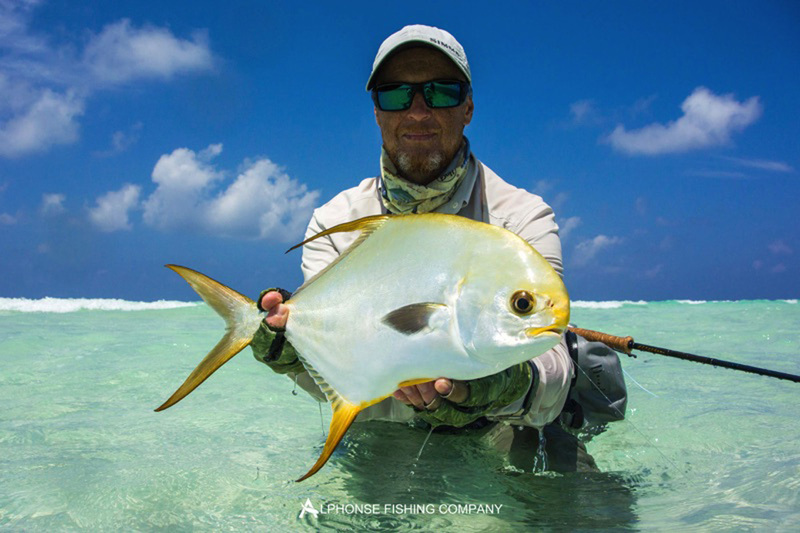 Igor Nevedrov was the first to kick his year off with a bang by landing a beautiful indo-pacific permit, and a huge yellowmargin triggerfish. 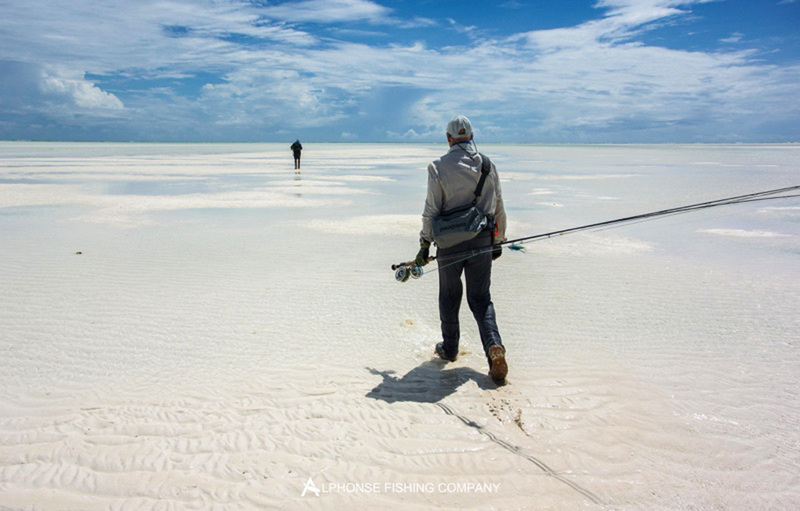 Also to become members of the triggerfish club were: John Stott with two yellowmargin, Oleg Veber with a gorgeous moustache, and Lauren Hibbit also managed to get her hands on her first moustache triggerfish. 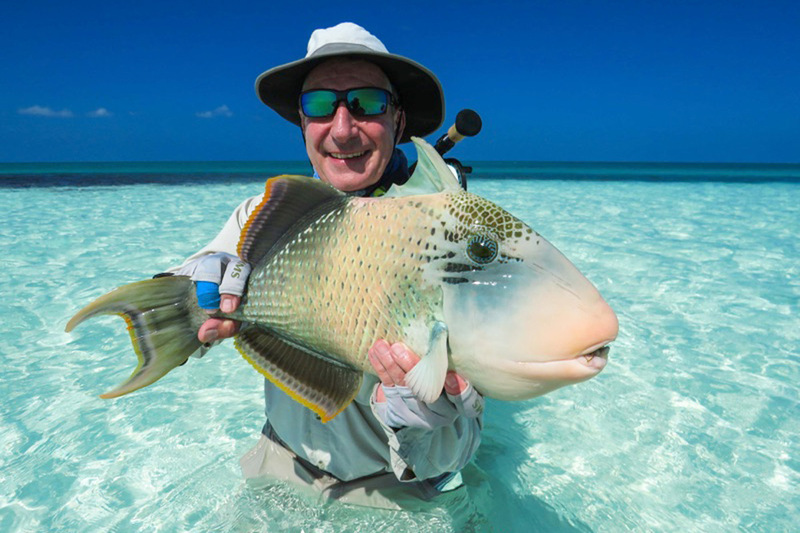 As the days passed by the triggerfish continued to be out in force and hungry for flies, Peter Hibbit and Nick Hibbit capitalised on this by both landing great yellowmargin triggerfish. As the moonphase shifted the tides started moving more and more. With greater variation in high and low tides the predatory fish were starting to make an appearance. First to capitalize was Mika Lehto, with three GT’s in a day and one just nudging over the 1 metre mark, stretching the tape to 102 cm fork length. Next in line was Ivan Kolesnichenko with a fin perfect 95cm fish. Lastly Jonothan Stott got the first GT of his two week visit measuring in at 89cm. 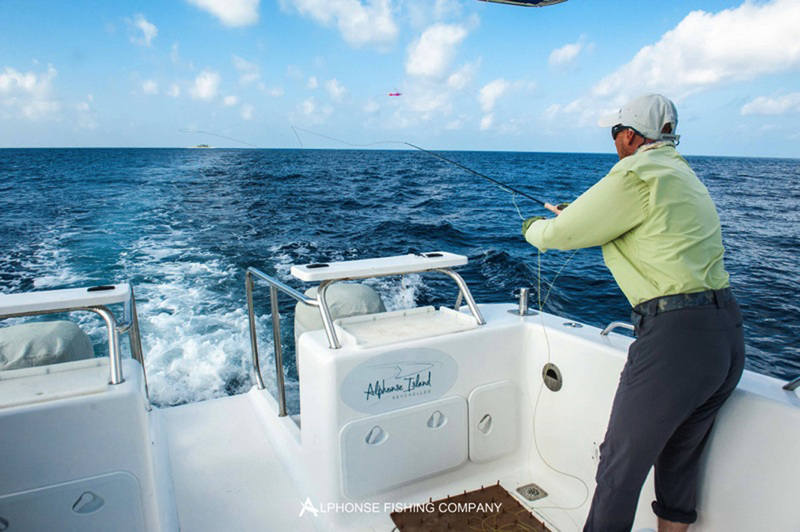 Not only did we have fantastic flats fishing, some of the guests ventured out into the bluewater to see what the depths had to offer. 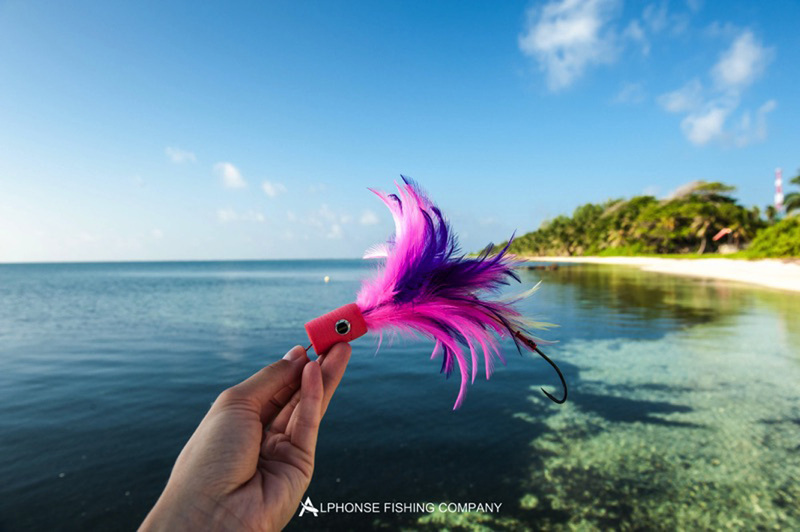 Mika Lehto and Oleg Veber were both able to tame a beautiful Sailfish on fly. 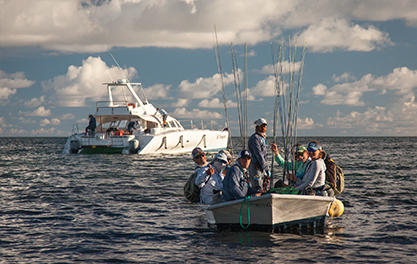 Some great fish were caught this week, as our festive season comes to a close everyone is pumped up for a fish full 2016 season. 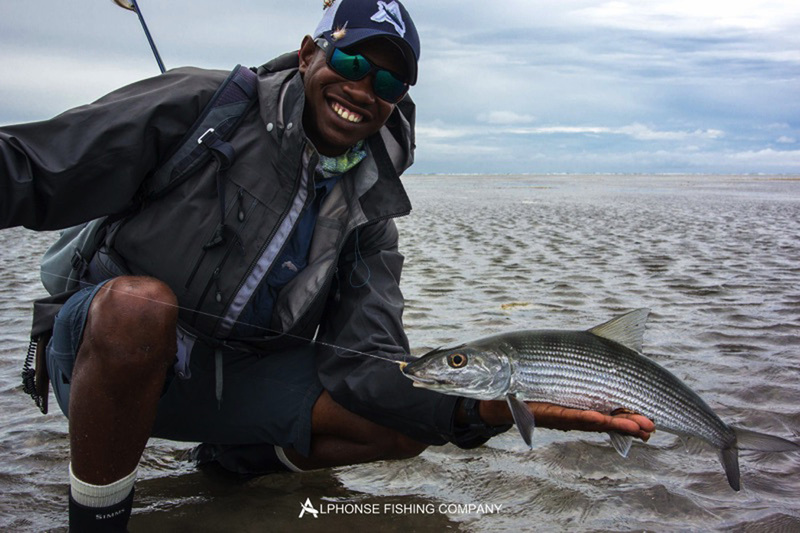 With many more days on the flats still to come, who knows what gorgeous and wonderful fish St. Francois is going to produce. 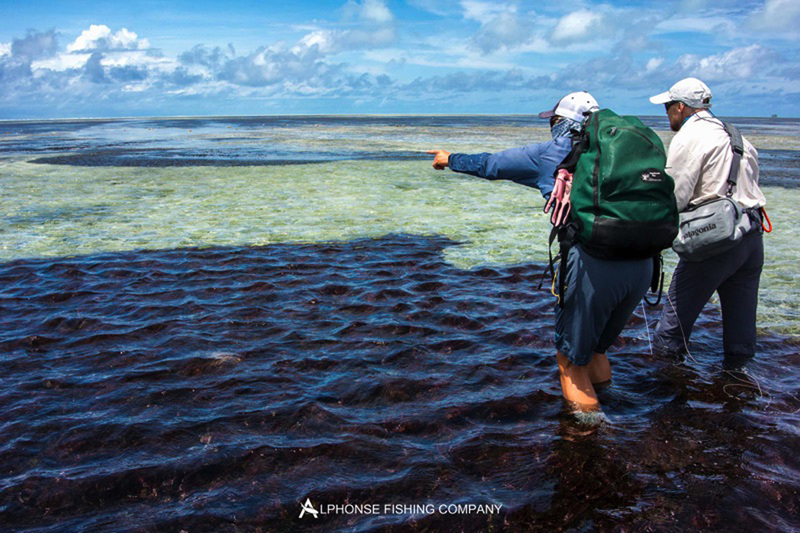 Tight lines from the Alphonse Island Fishing team.